Barwaha is a municipality in Khargone district in the state of Madhya Pradesh, India. The Barwaha city is divided into 18 wards for which elections are held every 5 years. The Barwaha Municipality has population of 39,973 of which 20,940 are males while 19,033 are females as per report released by Census India 2011. Literacy rate of Barwaha city is 87.27% higher than state average of 69.32%. In Barwaha, Male literacy is around 92.73% while female literacy rate is 81.23%. Barwaha Municipality has total administration over 5,133 houses to which it supplies basic amenities like water and sewerage. It is also authorized to build roads within Municipality limits and impose taxes on properties coming under its jurisdiction. This is a beautiful town situated on the banks of the Narmada River. It has got the largest CISF training campus in India. The city is surrounded by hundreds of very small villages and so is the main market area for those villages. On every Tuesday people from all these villages come to purchase their weekly required materials, whereas on Friday most of the shops remain closed. Barwaha is a Municipality in the District of Khargone is situated in the state of Madhya Pradesh in the central region of India. Khargone was formerly known as West Nimar. A part of the Indore Division lying on the region of Nimar, The District headquarters is located in the town of Khargone along with other functional offices i.e., police station, the collectorate office, telecom and other governmental organizations. In ancient times, the Haihayas of Mahishmati (present-day Maheshwar) ruled this region. In early medieval age, the area was under the Paramaras of Malwa and the Ahirs of Asirgarh. In late medieval age, the area was under Malwa Sultanate of Mandu. In 1531, Gujarat sultan Bahadur Shah brought this area under his control. In 1562, Akbar annexed this territory along with the whole Malwa to Mughal empire. In 1740 Marathas under the Peshwa brought the area under their control. In 1778, Peshwa distributed this territory to the Maratha rulers, Holkars of Indore, Sindhias of Gwalior and Ponwars of Dhar. At the time of Maratha rulers Barwaha comes under Holkar reign. Barwaha is consider to be the holiday place by the Maharajah of Indore in pre-independent British India. After the independence and merger of the Princely states with Union of India in 1948, this territory became West Nimar district of Madhya Bharat. On November 1, 1956 this district became part of the newly formed state of Madhya Pradesh. On May 25, 1998 West Nimar district was bifurcated into two districts: Khargone and Barwani and Barwaha comes under Khargone District. Barwaha city famous its ghats and is built on the banks of River Narmada, surrounded by Ujjain, Indore and Dewas as its northern frontier, the state of Maharashtra Khandwa and Burhanpur as the southern side and Khargone and Barwani as the Western border. The people of Barwaha speak Namadi. It is the primary language in west Nimar, Bareli and Palya, the language of Bhil is spoken in the central territory of Madhya Pradesh; Bareli Rathwi, Bhil is written in Bhilali and Devanagari script. Barwaha is located in the south-west border of Madhya Pradesh 283 metres (928 ft) above sea level. The city is connected to the cities of Indore, Khandwa, Ujjain, Burhanpur, Mhow, Khargone, Sanawad by road. The city has a meter-gauge railway line connecting Akola-Indore-Ratlam. Important stations on this route include Mhow and Sanawad. The nearest airport is located at Indore. Barwaha have dense forest. In the forest like, sagone neem, tendu tc .trees are available. The Airport close to Barwaha is at Indore (60 km). Barwaha railway station is situated on Ratlam-Akola meter gauge railway line,which is the largest remaining meter gauge line in India. Recently gauge conversation started on this line. After conversion it will connect Indore to south India. Barwaha is very well connected with other parts of the state. It is connected by road with Indore, Khandwa, Barwani, Dhamnod and Khargone. It is situated at the junction of SH-38 and SH-27. Govt. Model Boys Higher Secondary School (GMBHSS). Narmada Valley International School (NVIS). Patra Gurukul International School (PGIS). St. Mary's H.S. School (SMS). Swami Vivekananda Higher Secondary School. Students of GMBHSS are representing Barwaha at national and international companies and corporate with higher designation and reputation. Many of the students from Kendriya Vidyalaya has gone to National level in various games, scouts and guide activities. Also many students went to foreign countries for further studies and career. The city also has a government college and a private college for professional courses. The students of Barwaha have often made the city and state proud by making into the premier institutes of the country and those include IITs, IIMs, AIIMS and NITs. Khushboo Atre and Aman Bhandari have made it to the big level in the media industry. On one hand Khushboo Atre has featured in "Savdhaan India" of "Life OK". Aman also is a cricket expert working in "Star Sports" and also has featured in the series of "Best of Tests". The population of Barwaha city is 74.78% Hindu, 18.38% Muslim, 4.29% Jain, 2.08% Sikh and 0.29% Christian & 0.05% Buddhism. All the people of the different communities live in the town peacefully and with brotherhood. Various cultural activities are held throughout the year. Residents of the city, belonging to different religions, celebrate various festivals such as Diwali, Eid, Holi, Christmas etc. with harmony and peace. 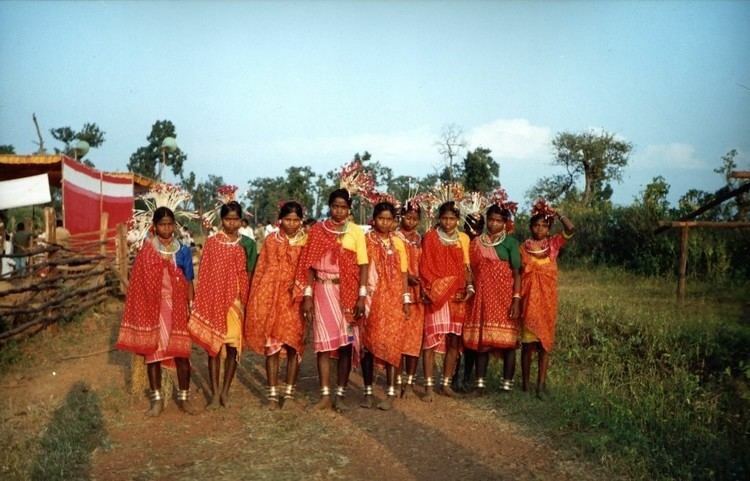 Other than the regular festivals, certain festivals are local to the region such as Gangore, which is celebrated by many people. There are many other cultural events held in the city throughout the year. There are various book fairs, art fairs, etc. Many local festivals celebrated with joy and happiness, such as 'Nag Panchami' (a day celebrated for snakes which are respected and worhipped like a god in Hindu mythology), or Bhagoriya (a festival celebrated by tribal people in the region). Narmada Jayanti is very popular event held in Barwaha. A grand ceremony is organised every year on the eve of Narmada Jayanti. The festival held every year at the banks of Narmada River. During this event, different arts and cultural programs are held, such as displays of different dance forms and the cultural aspects of Nimar.The main attraction of this event is "PUSHP-VARSHA"(From the air Tulips of rose is spread using HELICOPTER) over all the Devotee present on the occasion of birthday of Maa Narmada.Many tourists attend the event every year. Nimar Utsav is very popular event held in Nimar. As the name suggests, it is the 'utsav' (celebration) or the festival held every year at the banks of Narmada River. During this event, different arts and cultural programs are held, such as displays of different dance forms and the cultural aspects of Nimar. Many tourists attend the event every year. Rangapanchami is celebrated five days after Dulendi or Holi, and has much bigger importance in Barwaha than main Holi festival itself. and is celebrated by people in their own distinct style.Here, it is celebrated like Dulendi, but natural colors with or without water are thrown out in the air or poured on others for the whole day by youngsters all over the city. On the event of the festival, the local municipal corporation sprinkles color mixed water on the main streets of Barwaha. Earlier Fire Brigade vehicles were used for this purpose. This stylized Rangapanchami celebration in Barwaha holds back its roots in the Holkar Reign and continues to be celebrated with the same vigour till date. There are about 310 villages in Barwaha Tehsil/Block, which is making the town a biggest market of Barwaha, Sanawad, Maheshwar, Mandleshwar and Omkareshwar region. There are many tourist attractions in Barwaha. The CISF training campus on outskirts of Barwaha is the largest training camp in India. Jayanti Mata Temple is also a well-visited tourist attraction. The city also has a museum and hospital. It is named after Dadaji Dhuniwale, a mystic who lived in the city of Khandwa and healed people's miseries in uncommon way. The Narmada River also called the Rewa River in central India and the fifth longest river in the Indian subcontinent. It is the fourth longest river that flows entirely within India, after the Ganga, the Godavari River, and the Krishna River. It is also known as "Life Line of Madhya Pradesh" for its huge contribution to the state of Madhya Pradesh in many ways. The Narmada Kothi (Maharajah of Indore Retreat Palace) is a Palace in the Indian municipality of Barwaha, it was constructed by the Maharajah of Indore as a Retreat Palace and used by him and his family to enjoy their holidays and take breaks from duties of ruling and managing the Princely State of Indore in pre-independent British India.The palace was built in European style. The city is also surrounded by dense forest which is also a tourist attraction. Many people come here to celebrate Holi and RangPanchmai. There are various places which tourists and citizens of Barwaha like to visit for weekends and occasion or Holidays. Indore is the largest city of the Indian state of Madhya Pradesh state. It was the capital of the Malwa during reign of the Maratha Holkars after 6 January 1818, when the capital was shifted from Maheshwar by Malhar Rao Holkar III. Indore is a commercial center for goods and services. Indore had GDP of $14,000,000,000 as of 2011. The city also hosts a Global Investors' Summit which attract investors from several countries. It is about 60 km from Barwaha and known for Cinema, Malls, Education, Cuisine, Companies, Parks, Rajwada and Lal Baag. Maheshwar is a town in Khargone district of Madhya Pradesh state It was the capital of the Malwa during reign of the Maratha Holkars till 6 January 1818, when the capital was shifted to Indore by Malhar Rao Holkar III. Maheshwar has been a centre of handloom weaving since the 5th century. Maheshwar is the home of one of India's hand loom fabric traditions. It is about 50 km from Barwaha and known for temples, ghats, fort and palaces. Mandu or Mandavgad is a ruined city in the present-day Mandav area of the Dhar district. It is about 87.7 km from Barwaha and knows for its forts, palaces and natural landscape. A beautiful temple Navgraha is erected in honor of the nav grahas in Baigram. It's situated on Khandwa Road around 30.8 km from Barwaha, near Gram Simrol. PatalPani Waterfall, a fall in monsoon season situated around 35 km from Barwaha. It is 53.5 km from Barwaha towards Mhow. This tourist attraction is known for its waterfalls in monsoon season. Choral has the waterfalls in Monsoon Season. It's situated on Khandwa Road around 27 km from Barwaha, near Gram Simrol. Tincha Fall is a waterfall in monsoon season. It's situated on Khandwa Road around 48.6 km from Barwaha, near Gram Simrol.